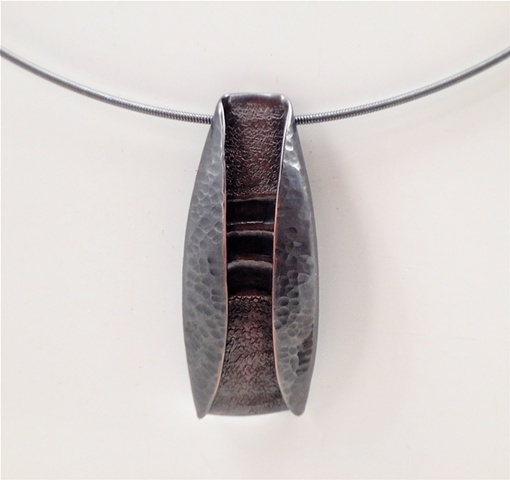 All of our jewelry is copper, silver, or a combination of the two. It is forged, patterned, fabricated, chased, patina, or enameled finish. It takes the form of pendants, broaches, and earrings.